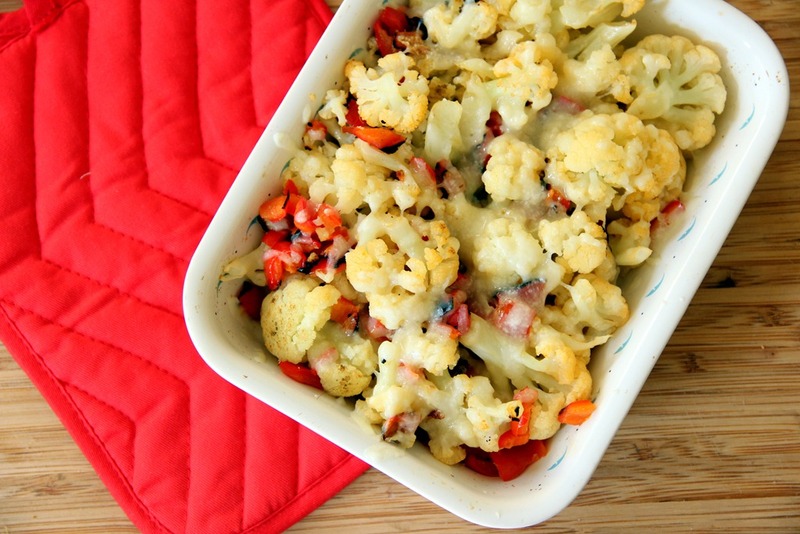 Vegetable casseroles are where it’s at. Because the dish is a casserole, you feel a bit indulgent, which takes care of all those cravings for comfort, while not sidetracking your healthy lifestyle. This recipe calls for cauliflower and red pepper, but I’ve used many different vegetables – mostly root vegetables – in their place, such as broccoli, shredded carrot, celery root, beets, crimini mushrooms, Brussels sprouts, and artichokes. The only “heavy” ingredient is shredded cheese. Use any raw goat or sheep cheese you can find, and there is no worrying weather your body will be able to process it all. 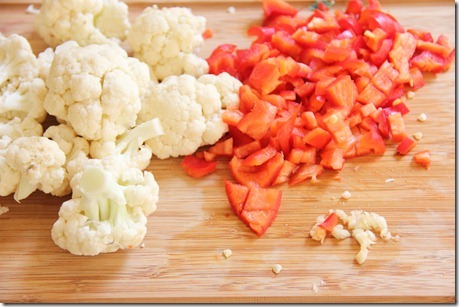 Cauliflower: is an excellent source of vitamin C, vitamin K, manganese, omega-3 fatty acids, and minerals. It helps protect against free radical damage, reduces the risk of cardiovascular disease and cancer, and has anti-inflammatory properties. Cauliflower also boosts brain function and because of its fiber content, promotes digestive health. 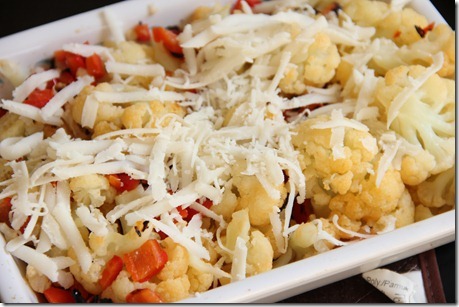 This entry was tagged casserole, cauliflower, cheese, goat cheese, red pepper, vegetarian. Bookmark the permalink. 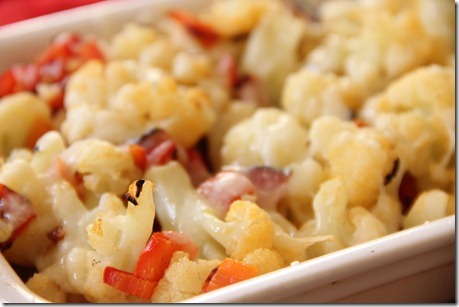 Cauliflower is one of those vegetables I just have to have when the weather starts getting chilly. This sounds perfect for fall!